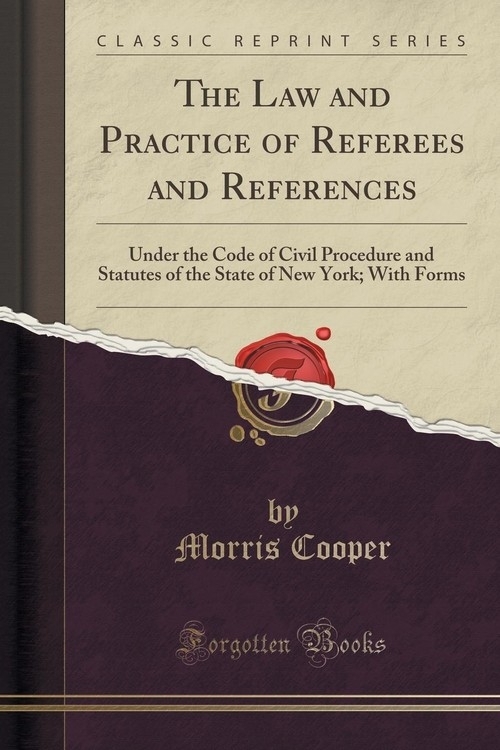 This work is an attempt to bring within as small a compass as is consistent with clearness of statement, all the existing law relating to the practice before referees. Substantive law is omitted. The author's endeavor has been to write a practical book, susceptible of ready use at references, or in preparation for the same. The forms have been mainly taken from decided cases, but it is desired here to express a deep sense of obligation entertained for the help derived from Mr. Austin Abbott's Forms, most of which have passed into, and become a part of the settled jurisprudence of the State. For many valuable suggestions the author renders thanks to Hon. Rastns S. Ransom, Surrogate of Hew York county, and to Mr. Elliot Sandford, and for very useful assistance rendered in the preparation of the work, to Messrs. Gilbert D. Lamb and Albert H. Atterbury.